Combine butter, wine, lemon juice, dill, salt, and black pepper together in a microwave-safe casserole dish; place cover on dish. Microwave butter mixture until butter is melted, 45 to 60 seconds. 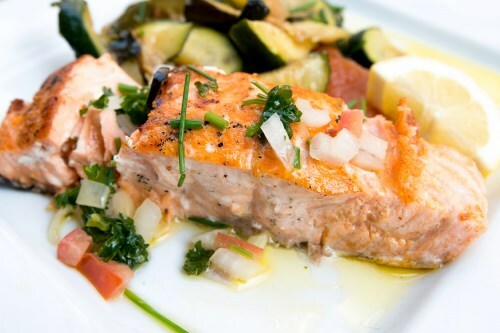 Add salmon, skin-side up, to butter mixture and place cover on dish. Microwave until salmon flakes easily with a fork, about 6 minutes.